The Old Testament testifies in many different books that the most important quality of divine love is faithfulness. God makes promises to humanity and to Israel and God faithfully keeps those promises. Even when human beings fail in their decisions and morals, God remains ever faithful. And the quality that God most desires in His people is to faithfully return His abundant, life-giving love. It is the great tragedy of the Old Testament that men and women prove so incapable of matching God’s faithfulness. This central drama of the scriptures also figures in the New Testament understanding of the relationship between God and humanity. In the gospels, the tragedy is overcome by the faithfulness of Jesus, Son of Man and Son of God. For the first time in history a human being offers perfect faithful love to the Father as Jesus offers Himself to the will of God in the garden and in the climb to Calvary. Throughout the Gospel of John, Jesus’ words and deeds proclaim the mutual intimacy and faithfulness of Father and Son. This faithfulness is the context for the passage we hear today. Jesus is speaking to His disciples in order to prepare them for His departure, a topic that leaves them confused and afraid. But notice that Jesus now pledges to them the same degree of faithfulness that He exercises towards the Father. Even His physical departure in death will not leave them orphans. His Spirit will remain with them, will be a new means of His presence to them. And then Jesus asks for their faithfulness. John’s Gospel speaks at length about love and friendship. Here Jesus teaches them that their love for Him must be faithful to His teaching and example. While the Acts of the Apostles is the work of a different author (Luke), it is fair to observe that the passage for today provides an example of faithfulness to Jesus and to His teachings. 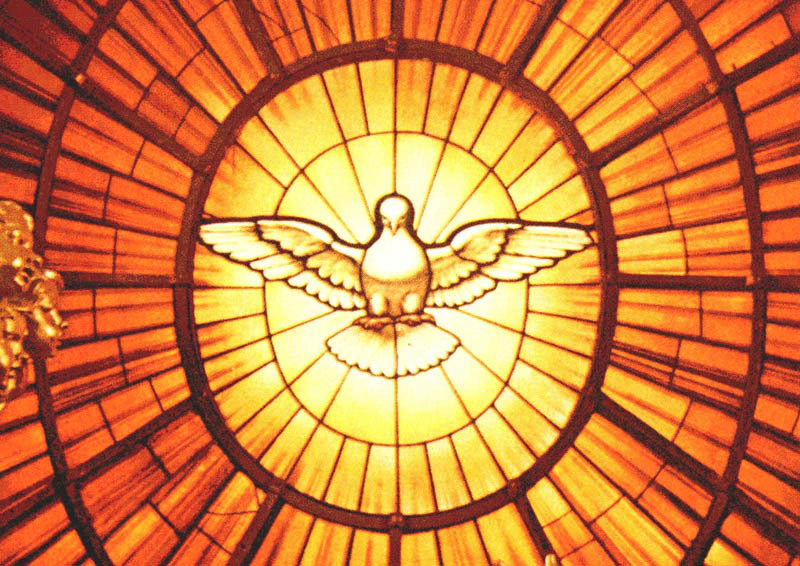 Empowered by His Spirit at Pentecost, the Apostles have overseen the proclamation of the repentance and salvation to be found in Jesus Christ. In doing so, they have proven themselves willing to rise above their own emotions as they preach even to the crowds that participated in the events of Good Friday. When they faced the challenge of believers from a different, Greek-speaking, culture, they adjusted and provided for these new believers. Now, one of the Greek-speakers, Philip, finds success in a mission among the Samaritans. Even there among Israel’s despised enemies, the hand of the Lord is at work liberating people from darkness. When the Apostles discover this they do not hesitate to join themselves to this mission in the most unlikely of places. Peter and John go to them and invoke the same Spirit received by Jewish Christians at Pentecost. Though they be foreigners, these Samaritans will not be second class Christians. In the second reading, we hear a passage from the First Letter of Peter. The letter addresses a Christian community that struggled in its capacity for faithfulness. While early Christians often faced official persecution, this community experienced equally difficult circumstances. Their society, friends, colleagues, even family members opposed their Christian faith and lamented the standards it demanded of its adherents. This kind of opposition might lack the deadly power of the state, but it was unrelenting and disheartening to the Christians. The letter strove to strengthen their resolve to remain faithful. When they are maligned they are close to Christ. And their example can even serve the purposes of evangelization. Like those early Christians, we face the need to respond to new situations and cultures with fidelity to the proclamation of the gospel. And like them, we often find ourselves in a hostile society and a difficult environment for the faith. Even among those closest to us there are those who have forgotten the Lord. These readings call us to be gentle with others even as we remain faithful. And the gospel promises that in this and in every challenge we will never be left orphans by the Lord Who is ever faithful to us.